While technology does not contain many of the highest-yielding dividend stocks, some of the fastest-growing dividend stocks (both in dividend growth and actual growth) can be found in this dynamic sector. In fact, many large technology companies are in the sweet spot for dividend growth. That’s because their maturing, cash-rich business models allow for management to spend a little less on research and development, and more on returning capital to shareholders — in the form of rising dividends, of course. Each of the tech stocks on this list have high Dividend Safety Scores, solid track records of paying higher dividends and healthy outlooks for future dividend growth. In fact, almost all of these businesses have grown their payouts by at least 10% annually in recent years, and one is set to join the elite ranks of the Dividend Aristocrats next year. In order of yield, here are the 10 best dividend stocks in tech right now. Be honest. Did you even realize Nvidia Corporation (NASDAQ:NVDA) paid a dividend? Nvidia is one of the biggest semiconductor companies in the world and is the global market leader in graphics processing units (GPU), which are used in PCs. And the stock has been on such a tear — up 420% since the start of 2016 — that it’s sometimes difficult to remember that Nvidia is more than just a hot momentum name. This is a truly successful company making real fundamental progress. The company operates through GPU (84% of 2017 revenues), Tegra Processor (12%) and All Other (4%) segments. Nvidia’s visual computing platforms address four markets: Gaming, Enterprise, High Performance Computing & Cloud, and Automotive. 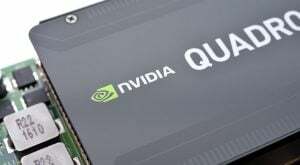 Nvidia’s GPU brands are thus aimed at specialized, high-margin end-market segments. For example, GeForce is used for gamers; Quadro for designers; Tesla and DGX for AI data scientists and big data researchers. Nvidia operates on an asset-light business model of developing and designing semiconductor chips while manufacturing is outsourced to foundries such as Taiwan Semiconductor Mfg. Co. Ltd. (ADR) (NYSE:TSM) and Samsung Electronics (OTCMKTS:SSNLF). The company’s technology expertise and capabilities are its biggest competitive strengths. 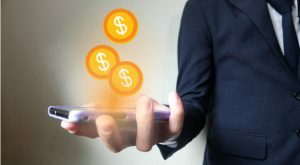 The company is arguably one of the best positioned players from the secular growth trends in gaming and artificial intelligence (AI) and autonomous vehicles, which represent potential market sizes in the billions (if not trillions one day). And the tech world is particularly excited by the company’s Volta GPU computing architecture, which should power “deep learning” and other areas that require ultra-high performance. Beneath the growth machine, however, is a plucky dividend that started in 2012. NVDA last raised the payout 22% in late 2016, and has increased the dividend by 16% annually over the past three years. It’s just hard to notice because the stock’s growth is far outpacing the dividend’s. Still, Nvidia’s payout should have plenty of room to improve over time. Meanwhile, this is a growth-happy stock that should enrich investors one way or another. 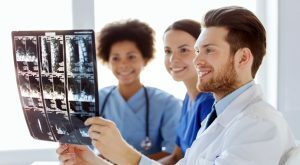 Roper Technologies Inc (NYSE:ROP) is another low-yield but high-potential company specializing in developing software solutions for healthcare, transportation, commercial construction, food, energy, water, education and academic research markets. Roper Technologies’ revenues are categorized under four segments: Medical & Scientific Imaging (36% of 2016 sales), RF Technology (32%), Industrial Technology (18%) and Energy Systems & Controls (14%). The company maintains a leading position in many of its end markets. It has a wide geographical footprint, too, with sales outside the U.S. accounting for 23% of 2016 revenue. It is also highly diversified across markets and customers, with no single client accounting for more than 10% of its sales. Roper Technologies has been growing organically as well through acquisitions and is benefiting from its 2016 acquisitions of the Deltek and ConstructConnect software businesses. The company’s current focus on acquiring high-value software and network businesses is expected to drive 50% of its 2017 EBITDA, which makes for predictable cash flow. Roper’s first payout of 2017 represented a 16.7% hike in the dividend, marking a 24th year of growth — thus, the stock is on track to join the esteemed Dividend Aristocrat club next year. Better still, the company’s quarterly check has grown by an average of 20% annually over the past five years. With a payout ratio near 20% and expectations for double-digit earnings expansion, ROP should have no problem maintaining at least 10% dividend growth for years. Intuit Inc. (NASDAQ:INTU) — best known for its TurboTax prodcuts — sells business and financial management software to small businesses, consumers and accounting professionals. Internally, Intuit divides itself into three reportable segments: Small Business (49% of 2016 revenue), Consumer Tax (42%), and ProConnect (9%). The company has a wide geographical reach with operations spread across U.S., Canada, India, the UK, Singapore, Australia, and other locations. From a consumer-facing perspective, ProSeries and Lacerte are Intuit’s leading tax-preparation offerings for professional accountants. QuickBooks and TurboTax are other products that assist in running small businesses, paying bills and filing income taxes. The company also online and mobile products, where entry barriers are relatively low. It therefore continues to make substantial investments in research and development (19% of total net revenue in fiscal 2016) to stay ahead of competition. Intuit also must comply with stringent regulations relating to the privacy and security of customer and employee personal information. This creates a formidable entry barrier for new entrants as it takes a long time to gain customer confidence and trust for handing over sensitive data to third parties. INTU increased its dividend by 13.3% last year and 15% annually over the past five years. An earnings payout near 40% not only provides a safety buffer but also offers sufficient room for future dividend growth. The company’s guidance calls for 2017 diluted earnings growth of 15%, and investors should expect future dividend growth to be in the low- to mid-double-digit range. Lam Research Corporation (NASDAQ:LRCX) is a supplier of wafer fabrication equipment and services to the global semiconductor industry, with facilities in Asia, Europe and the U.S. The company’s products enable semiconductor manufacturers to produce tiny and complex chips used in cell phones, computing devices and entertainment gadgets. Lam Research’s customer base comprises of semiconductor memory, foundry and integrated device manufacturers (“IDMs”) that manufacture NAND, DRAM memory and logic devices. By geography, Lam Research earns a majority of its revenue from Taiwan (25% of 2016 revenue), followed by Korea (18%), China (18%), Japan (17%), Southeast Asia (10%), the U.S.(8%) and Europe (4%). You might have heard of top customers (as of 2016) such as Samsung, Taiwan Semiconductor, Micron Technology, Inc. (NASDAQ:MU) and SK Hynix. These companies are the world’s top players with dominant market shares. 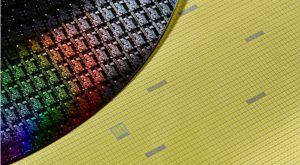 With semiconductor demand growing rapidly due to global increase in demand from electronics, the demand for Lam’s products should also keep increasing. Lam Research’s dividend is young, getting its start in 2014. But it’s growing like a weed, including a 50% bump in late 2016, and 36% growth over the life of the payout. Moreover, LCRX has a very low payout ratio of just 18%, providing plenty of dividend safety and room for robust future payout growth. NetEase Inc (ADR) (NASDAQ:NTES) is a leading China-based internet technology company providing Chinese-language content and services via online games, email, ecommerce and other businesses. The company operates through three segments: Online Game Services (79% of 1Q17 revenues), Advertising Services (3%), and E-mail, E-commerce and Others (18%). It generates most of its revenues in the form of subscription fees from online games, the sale of advertising space and e-commerce. As a leading provider of mobile and PC games and the largest provider of free e-mail services in China, NetEase is well positioned to take advantage of China’s massive internet population, which is the largest in the world. The global mobile game segment grew by 18% in 2016, accounting for almost 45% of the total gaming revenues, and should continue providing growth opportunities for many years to come. 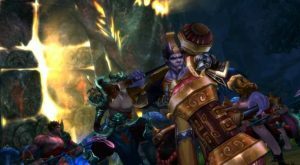 NetEase offers some of the most popular online games in China, such as New Ghost, Onmyoji and Westward Journey Online. NetEase last increased its dividend by 7%, though management has been hiking the payout more than just once a year, and management expects stronger expansion going forward. That seems realistic given an annual dividend growth rate of 46% over the past three years, as well as a low payout ratio below 30%. Oracle Corporation (NYSE:ORCL) is a global leader in corporate information technology products and services. Oracle ranks as the No. 2 software and cloud company in the world and, after getting a late start, is one of the fastest-growing cloud computing companies globally. The company operates through three business segments – cloud and on-premise software (80% of total revenues in fiscal 2017), hardware (11%) and services (9%). By geography, Americas is the largest revenue segment, accounting for 56% of total revenues, followed by EMEA (28%) and Asia Pacific (16%) regions. ORCL offers a fully integrated suite of cloud applications, platform services and engineered systems to more than 420,000 customers in over 145 countries. Oracle’s customer base is highly diversified across government agencies, educational institutions and businesses of all sizes globally. Leading companies like AT&T Inc. (NYSE:T) and Bank of America Corp (NYSE:BAC) recently announced agreements to use Oracle’s cloud-based solutions. Oracle earns a major portion of its revenues from software license updates and product support, which are priced as a percentage of new software license fees. Most of Oracle’s customers renew these offerings annually. Similarly, hardware support contracts are also priced as a percentage of the product fee. These updates greatly increase the enterprise’s cash flow visibility. Oracle’s last dividend hike came at a 27% clip, and a payout ratio near 30% indicates room for future expansion. The company’s recent dividend growth has been impressive, with a five-year compound annual growth rate of 26%. Meanwhile, growth may be en route as well, as management expects EPS growth to accelerate in fiscal 2018 thanks to continued growth in cloud offerings. Microsoft Corporation (NASDAQ:MSFT) is one of the largest technology companies in the world, with a leading global position in operating system and document processing software, cloud computing and gaming. The company operates through four business segments: Productivity and Business Processes (34% of 2017 revenues), Intelligent Cloud Services (30%), Personal Computing (43%) and Corporate (-7%). Personal Computing is the largest segment by revenue generation, but Productivity and Business Processes is the biggest contributor to operating profits, accounting for more than 50% of the overall profits. Microsoft’s Windows is the most popular operating system in the world, running on close to 90% of computers globally. 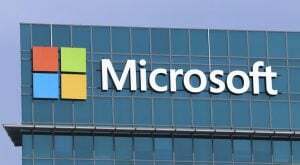 Its Azure cloud services business is also rapidly gaining market share, with Microsoft now one of the two largest providers of cloud computing — Amazon.com, Inc. (NASDAQ:AMZN) is top dog with Amazon Web Services. Microsoft has wisely diversified into a number of areas with reliable sources of recurring revenue. Economies of scale, large datacenters, ownership of a vast patent portfolio, a large suite of products, a globally recognized brand name, and an all-encompassing geographical presence (extending to more than 190 countries) together form a large moat around the company’s business. The dividend on MSFT stock has grown by roughly 15% annually over the last decade and is very safe thanks to Microsoft’s solid cash flow generation and bulletproof balance sheet. If Microsoft grows its earnings around 10% annually in the years ahead and maintains its payout ratio around 50%, the company can comfortably grow its future dividend by high single digits or low single digits every year. Texas Instruments Incorporated (NASDAQ:TXN) manufactures and develops various analog semiconductor chips and embedded processors. The company’s chips are sold to electronics manufacturers around the world. Analog chips accounted for 64% of the firm’s revenue in 2016, followed by Embedded Processing (23%). Each of these divisions boast a leading market share position near 20%. The company focuses on developing products that are essential for electronic equipment, and Texas Instruments should enjoy strong growth as electronics continue expanding and getting smarter. Long product life cycles, leading industry scale, a diverse portfolio, unique technologies, and less capital-intensive manufacturing enable Texas Instruments to generate ample cash flows and enjoy a strong moat. Texas Instruments has paid uninterrupted dividends for more than 50 years and has increased its payout for 13 consecutive years. TXN features has an impressive annual dividend growth rate of 17% over the last decade that hasn’t changed much recently, with a three-year average of 19% and a 32% bump in its most recent payout. Combined with its dependable free cash flow generation and impressive dividend track record, the company’s healthy payout ratio near 60% provides nice security for the dividend. Digital Realty Trust, Inc. (NYSE:DLR) is a real estate investment trust (REIT) that owns, acquires, develops and manages technology-related real estate. 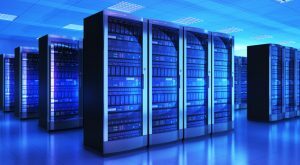 The REIT provides datacenter, colocation and interconnection solutions to more than 2,200 domestic and international firms. The revenues of Digital Realty can be categorized into five segments: Rental (72% of 2016 operating revenue), tenant reimbursements (16.6%), interconnection and other (9.5%), fee income (0.3%) and other (1.5%). Other than new leases, the company also earns a major portion of its revenues through lease renewals. The lease terms offer good cash flow visibility to the company with an average remaining lease term of 5 years. Digital Realty is the 10th largest publicly traded U.S. REIT, with 145 operating properties, of which 104 are located in the U.S., 32 in Europe, four in Asia, three in Australia and two in Canada. The REIT also has a solid presence in major metropolitan areas where datacenter and technology tenants are concentrated. This global footprint has enabled DLR to provide mission-critical architecture to major companies in the social media, financial services, and health care industries. It is also expanding strategically in new high growth markets and recently reached an agreement to merge with DuPont Fabros to further accelerate growth. 2016 marked the 10th consecutive year of the company providing 99.999% availability to its customers — a significant achievement that reflects Digital Realty’s robust operational structure and high quality of human resources. The company last raised its dividend by 5.7% in 2017 and has boosted its payout for more than 10 straight years. Digital Realty has registered a very impressive 14% CAGR in core funds from operations (FFO) per share in the last 12 years, which has allowed the company to grow its dividends at 12.5% annual growth rate over the past decade. 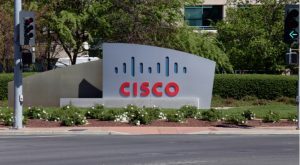 Cisco Systems, Inc. (NASDAQ:CSCO) provides services and integrated solutions to enable connected networks. The company is the No. 1 global player in telecommunications, networking hardware and software. Cisco’s revenues from products account for almost 75% of revenues while the remaining 25% is from services. It offers a wide range of products and technologies categorized into – switching; next-generation network (NGN) routing; collaboration; datacenter; wireless; service provider video; security; and other products. Cisco has come a long way from selling basic networking hardware to providing higher-value solutions today. The company enjoys a dominant market share in many of its core offerings, and the world’s communications systems could not function without Cisco’s products. A well-developed global sales network, cutting edge technology capabilities, a diversified customer base across all major geographies, and a reputed brand are Cisco’s key competitive advantages. CSCO also is extremely well-positioned to leverage major growth trends in areas such as cybersecurity, IoT, next-generation datacenter and cloud services. Cisco has raised dividends at an impressive 16% annualized rate over the past five years and has a healthy payout ratio below 60%. CSCO bumped its payout by about 12% earlier this year. Management expects Cisco’s earnings to grow in the mid-single-digit range over the next few years and to return more than 50% of free cash flow to shareholders. Shareholders can therefore expect Cisco’s dividend to continue growing at close to a double-digit pace. As of this writing, Brian Bollinger was long CSCO and ORCL. Article printed from InvestorPlace Media, https://investorplace.com/2017/08/10-best-dividend-stocks-in-tech/.